WARRANDYTE will be represented by three senior teams in the finals with the top three senior teams all producing great finishes to the year. 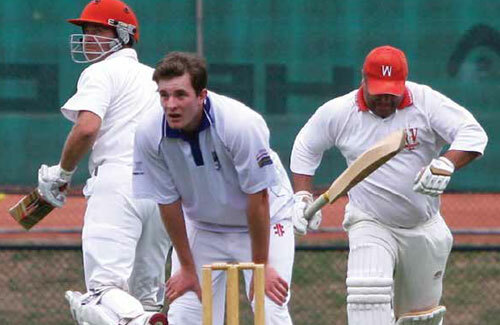 Warrandyte’s First XI have finished third in the Bill Wilkins Cup under skipper Adam White, with an end of year form slump costing them a potential minor premiership. Warrandyte potentially could have skipped up the ladder to second spot had they finished off the season on a high against Wonga Park at home. But chasing 142, the Bloods fell agonizingly short, losing their last three wickets for one run. White was the only Bloods player to put in a strong performance with the willow, backing up his two-for the week before. The standout, however, was young Ben McMellan, the youngest player in the squad who has been given few chances this year. Yet, when thrown the ball by his skipper, McMellan produced a career best 5/32 to give Warrandyte an extremely enticing run chase to finish off the year. heading into the March finals. Warrandyte will face Croydon Ranges in the qualifying final, despite playing them in the last round of the season as well. That means potentially the teams could play each other three times in the last four games of the Pat Meehan Shield. The Bloods will look to set a higher target to defend, however, with their 170 in the final round chased down by the Ranges with one wicket to spare. Warrandyte will be disappointed with the result as well, as it needed just one wicket to land the top spot and a home final. Yet a last wicket partnership of 25 runs in the final overs was the nail in the coffin for Warrandyte’s hopes. Warrandyte’s Third XI is the minor premiership winner in its division, clinching top spot in similar circumstances to the Second XI. While the Seconds failed, Warrandyte was able to beat second-placed Kilsyth, and again could play it in the final three matches of the year. Warrandyte was carried through the final round on the heavy shoulders of Tyson Brent, who smashed a brutal 142 at Kilsyth to make an impressive statement heading into a tough finals campaign. The Bloods needed a boost of form heading into March after a couple poor displays in a row, and this will be the spark they needed. Warrandyte’s Fourth XI will be enjoying the finals from the stands, after finishing a disappointing last. The Fourths faced a tough year of constant personnel changes, and it was the steady hand of some club elders who provided some support to skipper Michael Bowen, with Brett Kline, current game record holder at the club scoring 260 runs at 43, performing in another exceptional year. Members of the Warrandyte Cricket Club are looking to arrange a community game of cricket against the CFA. Peter Hanson, a member of both clubs, is seeking out members of the CFA to play against a mixed Warrandyte Cricket Club team to raise funds for the CFA. A date is to be confirmed, but please feel free to visit the website at warrandytecc.com.